Before making the switch from MobileMe to iCloud last week, I was looking around for posts about iCloud’s new webmail and didn’t find any. As I’d just installed the iOS 5 GM on my iPhone, I was eager to get iCloud going as well to get a head start, but wanted to investigate the iCloud services first. I didn’t find any useful posts, but made the switch anyway. 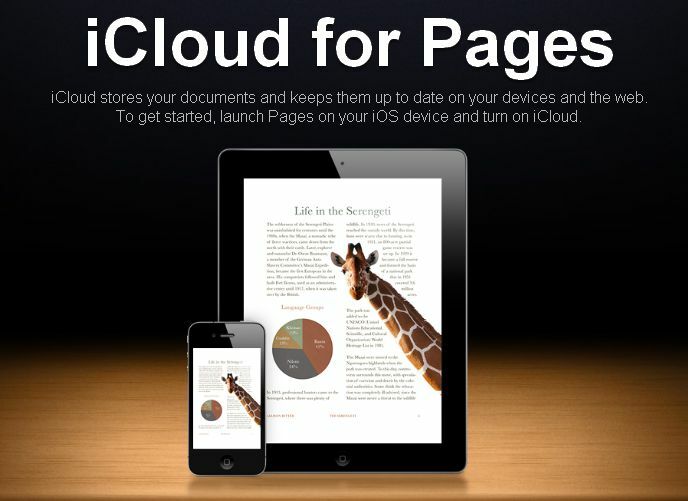 Seeing as iCloud will be free to all users now, I thought I’d give you a heads up into what you can expect! Upon logging into iCloud, users are now presented with the following selection screen where you can select whether you want to access Webmail, Contacts, Calendar, Find My iPhone or ‘iWork’. Note that the ‘iWork’ icon isn’t actually an application, but just a page that informs you of iCloud’s document-sync’ing capabilities. Switching between pages in iCloud definitely feels snappier than it was in MobileMe. 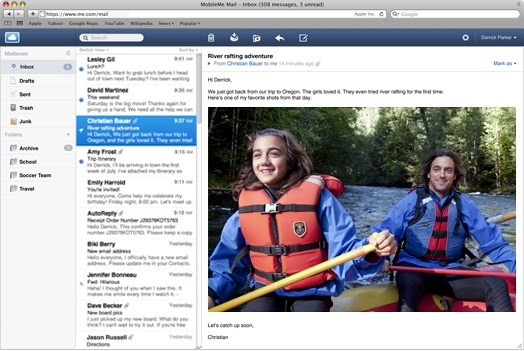 There was a bunch of ambiguity around this it seems, so let me clear the air: yes, iCloud does have webmail (as one would expect), however it looks like it’s probably just a re-skin of the MobileMe webmail. That said, I’m hoping that Apple took the time to fix some of the bugs that drove me crazy, such as searches, superfluous refreshes and unexpected logouts. 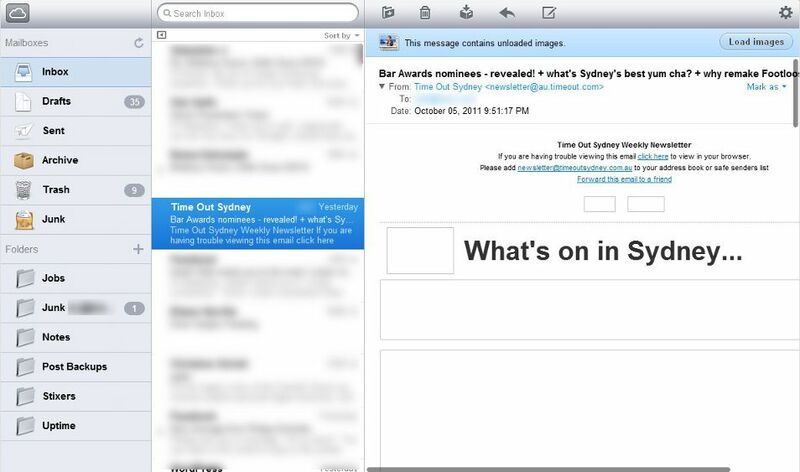 One UI improvement is the ability to collapse the mailboxes pane, allowing users with smaller displays to make the most of their screen real estate. Note to .Mac/MobileMe users: yes, you still retain all of your previous @mac.com, @me.com addresses and aliases (no signs of @icloud.com addresses yet). Not too much new here apart from a redesign to make the Contacts app consistent with its counterpart on Lion. Again, Apple has updated the Calendar app to look the same as on Lion. This brings the ‘List’ view to the web, as well as the new iCloud ‘Reminders’, which can be edited using iCal or the Reminders app on iOS devices. It’s probably worth noting that calendar or reminder alerts will pop up in your browser if you are logged into iCloud (even if you’re in the webmail). 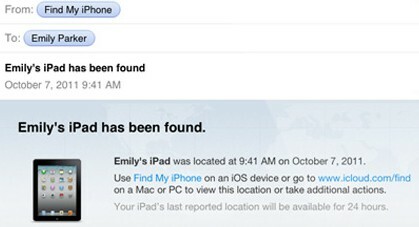 Last but not least, the updated Find My iPhone functionality now presents you with a full-screen map view. The features remain the same, with the ability to play a sound or display a message on your iPhone/iPad, and remotely lock or wipe the device. One notable addition however, is that if your phone cannot be located (because it has no signal or is turned off), then Find My iPhone will send you an email if/when your device is able to get back online. Note that if you don’t want your iOS device to be trackable this way, make sure you disable it by going to: Settings > iCloud > Find My iPhone > Off. You will still be able to send messages, remotely lock and remotely wipe the device however! 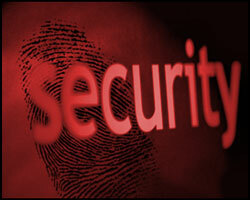 Check our my other post for more tips on how to protect or recover your iPhone/iPad from loss and theft. You can now also expect to use this same functionality to track your Macs (running Lion). That’s pretty much it. Nothing sensational, but I didn’t find a post anywhere that covered this stuff, so I thought I’d bring it to you. At least one of my wishes has come true, and that’s for all these services to be free again. Thanks Steve for reversing the horrible flop that was MobileMe. Long live iTools! Just the stuff I needed to know, thanks!